The GROM-HDR1 HD Radio tuner adapter will add static free crystal clear HD FM radio to select GROM units and compatible factory car stereos. The GROM-HDR1 connects to EXT2 port of compatible GROM units, if port is currently occupied you will need to disconnect currently connected adapter. 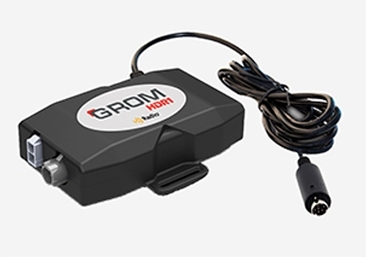 The GROM-HDR1 is currently compatible with GROM-USB3, GROM-USB2P (Batch 844 and up), GROM-MST4, and GROM-MST3P kits. Note that the demo video is for Lexus with NAVI and mp3 GROM firmware.